People would always want to tailor their bank accounts if they just can do it. There are many people who would look for ways and means in order for them to be able to save money and let it earn some interest in the bank of their choice. One way for them to do it is through opening certificates of deposit accounts. All banks and financial institutions have this and one place where people can surely go to entrust their savings is at HSBC. This is a good place to start preparing for the future. They offer well updated rates. They also have an outstanding customer service with efficient and effective policies and operations. Those people who really would want to protect their money should start understanding HSBC more. In terms of their certificates of deposits, there are many choices depending on what terms or programs the account holders or owners would want to have. HSBC offers the online certificate of deposit wherein those who are interested can simply apply online. This is a very easy and quick way of opening an account which any person can do. The benefits of opening in HSBC are that the fixed interest rates are compounded daily and it has a very easy access account management because it is online. The savings of the account holders are secured and FDIC insured. For those who will be opening an online CD account with the term or program of six to nine months should have a minimum balance of $1,000. The annual percentage yield or the APY for these terms is 0.10%. Those who want the one year term to 18 months program, the APY is 0.20%. While for the 24 months to 30 months, the APY is 0.35%. And lastly, the longest term they have which is the 48 months program will have an APY of 0.80%. These are the annual percentage yields HSBC offers for those who want to open an online certificate of deposit account. Those who are interested and have the money to open an account should do it as soon as they possibly can. Everybody dreams of having their own house where their families can live together. It is very difficult to have or even build a house today and thus those who want to have their own would go to financial institutions such as banks in order for them to get mortgage loans. People are very careful in picking the right bank since a mortgage is one of the biggest loans you can make so it’s only right to get one at an institution which you know will care for you. HSBC is one of the leading financial institutions that offer outstanding services to its customers. They have a strong capital and lending policy that they are quite known for. So for those who want the best mortgage rates then this is the place to go to. They have good mortgage options for their premier clients. A common choice is the fixed or variable mortgage rate. It is a lock in rate with the right fixed mortgage. So what are the current rates HSBC now has? For the 15 year conforming purchase, the rate is 3.125% with an APR of 3.348% while for the 15 year conforming refinance, the rate is 3.250% and an APR or annual percentage rate of 3.475%. On the other hand, a rate of 3.875% and an APR of 4.007% are for the 30 year conforming purchase. The rate for the 30 year conforming refinance is 4.000% with an APR of 4.134%. Those who will be choosing the fixed mortgage rates with these annual percentages will certainly be able to get the dream house of their own at prices they can afford. With HSBC, people can have houses and live a life full of happiness without worrying too much on their monthly payments. In the end, those who are interested should now go to HSBC and inquire all about the loans and mortgages. If you are poor credit and have tried to qualify for a credit card you know that it can be a difficult process. Poor credit can earn you many denials from credit card companies. If you have poor credit you need to come to grips with the fact that you are not going to get good credit cards until you rebuild your credit score. This card is also featured in our top starter credit cards. It can seem like building your credit can take forever, but trust me it can fix up real fast. I remember a few years back I had a Washington Mutual (now Chase) credit card with about a $1,200 balance. Well I paid that card off, but when the banker gave me the total payoff she didn’t include the $11.02 interest that had accrued for half the month I hadn’t paid for yet. Assuming the card was completely paid off I went on my merry way. Well about 6 months later I discovered my (half the bankers fault) folly, and along with that folly came a 30 day late, 60 day late, 90 day late and two 120 day late payments on my credit. My credit dropped from the 700 range to the low/mid 600’s. I went to the bank to see if they could help me out. They were pleasant and seemingly helpful, but could not remove the late payments. To my surprise after being extremely diligent with my credit, my score was back up in the 700 range in about 4 or 5 months. So all that to say… You can rebuild your credit quickly. 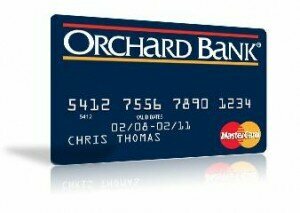 An excellent credit card for help rebuilding credit scores; reports to 3 major credit bureaus monthly! To get more info or apply click here.